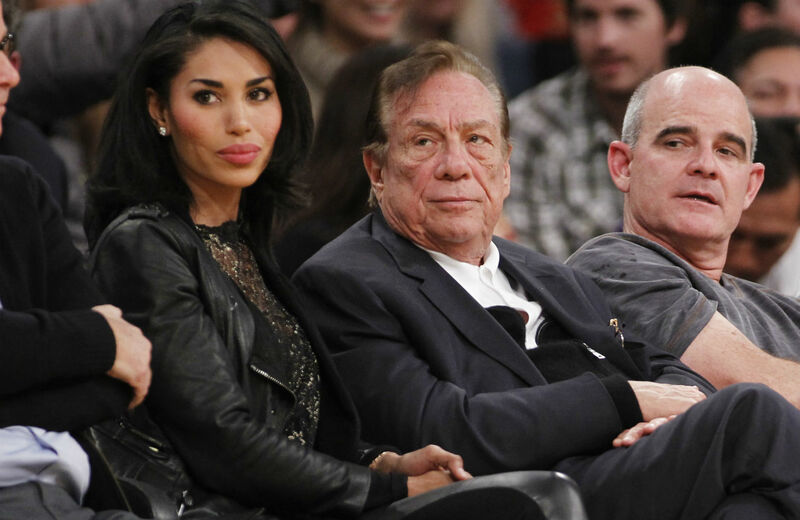 LA Clippers deposed owner Donald Sterling will be taking the NBA to court. This could get very interesting. Donald Sterling is not going to go gently into that good night. In fact, the 81-year-old multibillionaire looks like he wants to leave the NBA with a titanic bang. After hinting to Anderson Cooper during his instantly infamous CNN interview that he would gracefully exit (“I love [the other owners] and I respect them. And whatever their decision is with regard to the disposition of my terrible words, then I have to do it, I think”) his attorneys have announced that they would be fighting the collective desire of the planet to remove him as owner of the Clippers. In addition, his lawyers have made clear that he would not pay the $2.5 million fine he has been ordered by the league to fork over for racist comments and a “pattern of behavior” that NBA Commissioner Adam Silver states, has brought tremendous harm to the league. Yet if the Slumlord Billionaire goes forward beyond a lawyer’s threats, he will not win this lawsuit. Once we do away with the pomp and circumstance, being a pro-sports owner is basically being the same as being a franchisee. Like any franchisee in any business, Sterling’s claim of private property over his franchise has massive legal limitations. If I started a Quiznos and served up rat sandwich wraps served in a dirty ashtray, Quiznos HQ would—I sincerely hope—close me down. This is what Donald Sterling has done with the Clippers. Over the course of decades he’s been serving up those rat-wraps and calling it an NBA franchise. His personal behavior has been beneath contempt. His business practices as a slumlord as well as his misogyny would shame all but the shameless. He is a liability and, by every analysis that I have read, the NBA constitution have it within their power to “disenfranchise” him. Yet despite his meager chances for success, we should hope Donald Sterling does take his fellow owners to court, because while any of us would probably last less than an hour selling Quiznos rat-wraps, Donald Sterling was sheltered for over thirty years in the NBA suites. Let the NBA answer these questions in court: If Donald Sterling was such a liability, why has he been an owner in good standing since the days of disco? If Adam Silver wants to argue that a “pattern of behavior” is at the root cause of his expulsion, then why is it only a problem now? If Sterling is such a liability, why was he handed one of the five best players in the NBA—Chris Paul—in a direct intervention by former NBA Commissioner David Stern? If his reputation as a monster is so well-known, why did Doc Rivers sign up to coach this club? Why did Paul re-sign with this team? If this is really about racist statements, then maybe Donald Sterling will elucidate for us some of the things he has heard in smoke-filled back rooms over the last three decades. I’m sure many of us would love to know what, say, OKC Thunder owner Clay Bennett has said over the course of that time. By taking them to court, Donald Sterling also ensures that, at least in name, he will still be the owner of this franchise come the start of the 2014–15 season. Doc Rivers has said he may not return to coach if a Sterling’s name is profiting from his labors. All-Star forward Blake Griffin has said that his future with the team may not be for long as well. What is the NBA prepared to do? In the best interests of the game, could they declare every player on the Clippers an unrestricted free agent? Will players from other teams go on strike and refuse to play against the Clippers? Will fans show their support by not going to the damn games? A lot of people—owners, media, players—have talked a lot of high-minded rhetoric about why racism has no place in the league. Sterling is now playing “chicken” with their threats, daring them to walk it and not just talk it. Will all of the “shareholders” in the NBA put principle ahead of profit? This lawsuit may actually provide answers to some, if not all, of these questions. One thing it can certainly do is finally put a punctuation mark on the end of the David Stern reign as Grand Poobah of the NBA. It’s time to air out the room. It’s time to open the blinds. Sunlight is the best disinfectant. If that sunlight is provoked by the twisted, litigious mind of Donald Sterling, then so be it.